Project Open Advanced Workflow Part 5: Adding to Helpdesk Ticket Types – Interstell, Inc.
Project Open ships with a powerful workflow editor that lets you control how a ticket is processed. The workflow editor operates in one of two modes: Simple Process and Advanced Process. This tutorial will cover the Advanced Process. This section will cover Adding to Helpdesk Ticket Types. My Project Open installation runs on CentOS 6.5 Linux. I used Mozilla Firefox under OS X 10.10.2 to capture the screen shots. Our new workflow is more or less ready to be used. The next question we have to answer is how do we present it to the folks who are using Project Open? How do we make it show up on the list of available ticket types that are visible when you create a new Helpdesk ticket? Figure 1 shows an example of the list in question. Figure 1: The goal is for our new workflow to show up here. We can do this by adding the new workflow to the Category called Intranet Ticket Type. And to do that, we need to find out the work flow’s “system” name. When you find it, take a look at the line just below the name. It should look something like Figure 2. Under “Sample 001,” which is what we called the workflow, you’ll see the “system” name, which, in this case, is sample_001_wf. Project Open converts the “pretty name” by making it all lowercase, substituting underscores for spaces, and appending “_wf” at the end. Now that we have the system name, we can add the new workflow as an item in the Helpdesk ticket list. Click on the Admin tab. Find the URL called Categories. Find the URL for Intranet Ticket Type and click on it. You should see something like Figure 3. 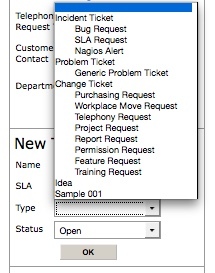 Figure 3: Project Open presents Helpdesk ticket types based on the entires on this screen. Near the bottom of the screen, you should find a URL that says Add a category. Clicking on it display a screen like the one in Figure 4. Figure 4: The category screen lets you define how your workflow will be presented. The screen pre-selects Intranet Ticket Type as the Category Type. Don’t change that if you want this to work. Likewise, don’t change the Category Nr. Project Open generated the next available unique identifier for you. Under “category name”, you should enter the name you’d like to use as the default for this new workflow — in other words, the default way Project Open should add this to the list of Helpdesk ticket types. For the tutorial, I’ll enter Tutorial Sample 001. One of the things I really like about Project Open is how well it supports internationalization. This screen lets you specify text that will override the default Category Name for users who have selected other languages. Since the only language I’m fluent in besides English is American Sign Language (ASL), and since it’s not represented, I’ll try to show respect for other languages by not butchering them with bad examples. In other words, I’ll leave them blank. The only other required field is String1. We’ll put the “system” name for the workflow there. If you remember, it was sample_001_wf (the figure shows sample_0012__wf). 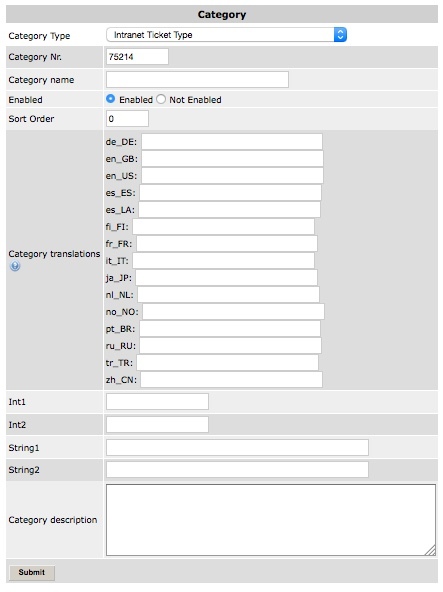 Note: The Sort Order field isn’t working, at least for me. That’s too bad, because it would be nice to sort them! Clicking on Submit button saves the changes. 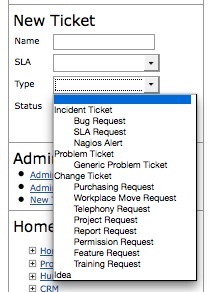 Now, if you list the Helpdesk ticket Types, you should see something like the screen from Figure 5. Figure 5: If all went well, the new workflow should show up here. However, you might get an unpleasant surprise if you try to create a ticket with your new workflow. It’ll look like Figure 6. Figure 6: The ticket’s missing a few fields! Some key fields — like the description — are missing! That’s because we haven’t told Project Open what fields to use. I’ll show you how to do that in the next and last part of the tutorial.